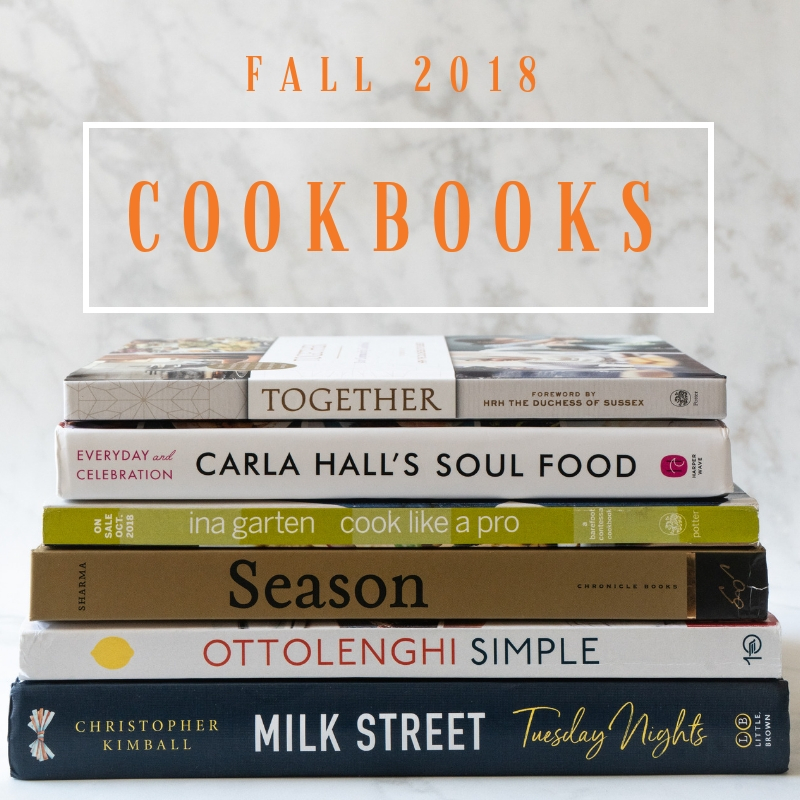 In the food world, fall (and spring) are cookbook season, when it seems like every BIG title is released in a three-week period in the run-up to the holiday gift-giving season. This slim, gorgeous book made a big splash when came out in September, thanks to a foreword written by Meghan, Duchess of Sussex, as her first solo project. Proceeds from the book help support The Hubb Community Kitchen for women who were victims of London’s Grenfell Tower fire. Recipes reflect the many cultures of the women who use the kitchen, and there’s a lot of flavor packed into 128 pages. Beloved Top Chef contestant and former cohost of The Chew, Hall’s third cookbook was inspired by her own family’s culinary journey from West Africa to Tennessee. Recipes like the simple white bean soup below highlight the everyday side of soul food, while dishes like cider-glazed ham and Nashville hot chicken are decidedly celebratory. Garten is a consummate food pro, but when I interviewed her for a Parade magazine cover story, she pointed out, “I wasn’t trained professionally, I taught myself to cook.” That’s true, but she also noted that after years working around professional kitchens (as the owner of the wildly successful Barefoot Contessa), she picked up a lot of great tricks that can make things easier for home cooks, too. Cook Like a Pro is all about those smart techniques and confidence boosters. There’s a reason for Garten’s enduring popularity and borderline cult status: Her exhaustively tested recipes and smart techniques yield reliably delicious results. Talk to just about anyone who works in food long enough, and Ottolenghi’s name is likely to come up. The Israeli-born chef’s casual eponymous eateries are a must-stop on any food lover’s trip to London (Garten cited him as one of her personal favorites), and his previous books, including Jerusalem, Plenty and Plenty More, were international bestsellers. For many, the current and enduring Israeli food trend traces back to Ottolenghi. I always liked Cook’s Illustrated, but I’ve loved Kimball’s latest venture, the bimonthly magazine Milk Street, with its emphasis on world flavors. This cookbook is drawn from the magazine’s Tuesday Nights column featuring weeknight-friendly recipes. We’ve eaten well from the magazine over the last few years, so I’m tickled to see those recipes gathered here. Hall told me that when she needs a little comfort, she turns to bean soup, and she highlighted this vegan recipe in particular. A spoonful of coconut oil stirred in at the end makes all the difference. "That one little addition just perfumes the beans. It's such a simple thing," Hall explains. 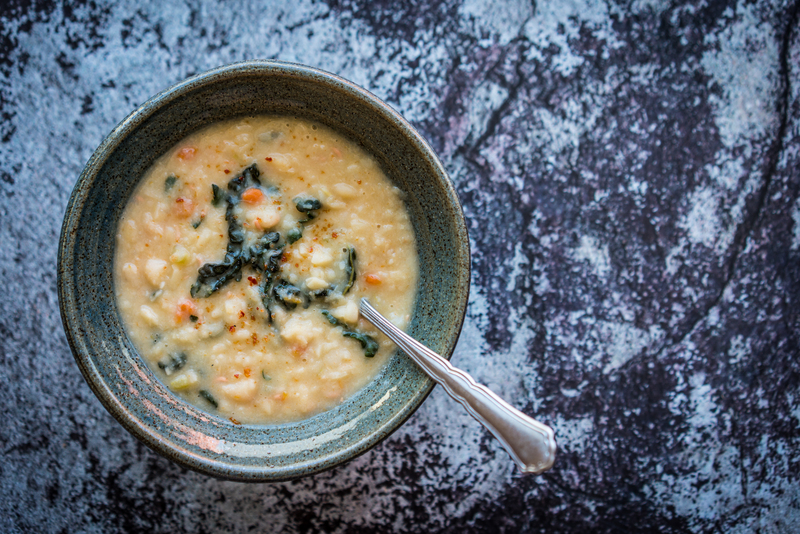 This soup is super-comforting and just gets better after a day or two. I stirred in some braised kale, which made a fine addition. Pick over, rinse and drain beans. Place beans in a large saucepan and add enough cold water to cover by 2 inches. Bring to a boil over high heat. Boil 40 minutes, adding more water as needed to keep beans covered by at least an inch. Drain beans well and return them to the pot. Add onion, carrot, celery, chile, garlic and bay leaf. Add enough water to cover by 2 inches. Bring to a boil over high heat. Reduce heat and maintain a steady simmer for 1 hour or until beans are soft enough to mass with a spoon. If needed, add water to keep solids just barely covered. Stir in cayenne and salt to taste (Hall likes about 2 teaspoons). Mash half the beans to thicken soup. Stir in coconut oil until it melts. Season with additional salt, if needed, and stir in some braised greens, if desired.